What is the Karl Fischer Method? | Karl Fischer Method | AQUAMICRON by Mitsubishi Chemical Corp.
As shown in Formula (1) below, the Karl Fischer method uses Karl Fischer reagent, which reacts quantitatively and selectively with water, to measure moisture content. Karl Fischer reagent consists of iodine, sulfur dioxide, a base and a solvent, such as alcohol. As described below, this method can be used in both volumetric and coulometric titration systems. With coulometric titration, the sample is added to an electrolytic solution, the main constituents of which are iodide ions, sulfur dioxide, a base, and a solvent (such as alcohol). Electrolytic oxidation causes the production of iodine, as shown inFormula (2), resulting in an immediate Karl Fischer reaction. According to Faraday’s laws, the iodine is produced in proportion to the quantity of electricity. 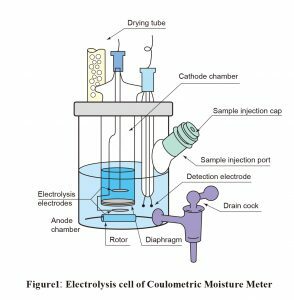 This means that the water content can be determined immediately from the coulombs required for electrolytic oxidation. 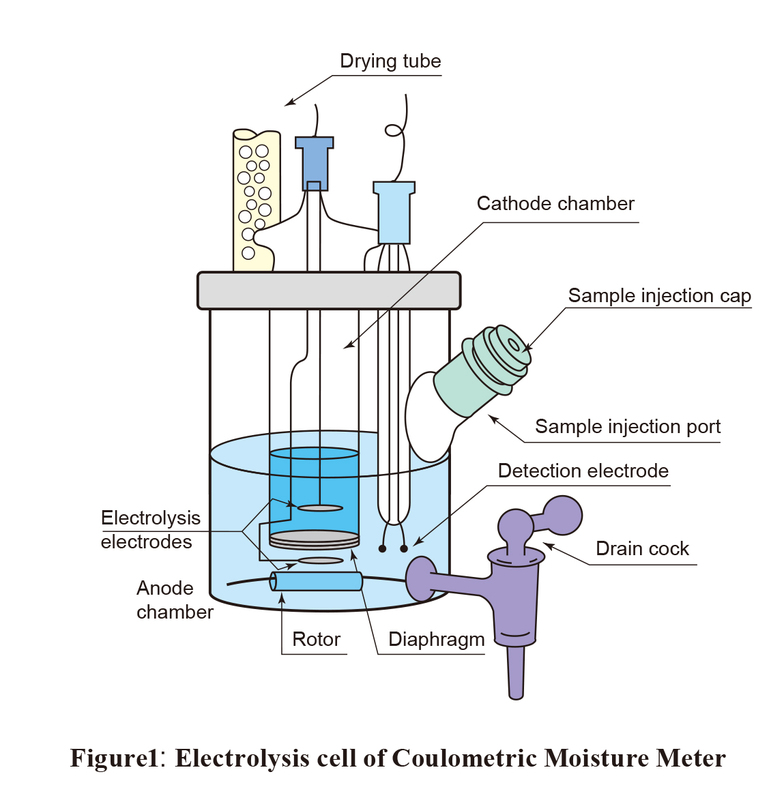 As shown in Figure 1, two types of coulometric reagents are required: an anolyte, which is placed in the anode chamber of the electrolysis cell, and a catholyte, which is placed in the cathode chamber. Coulometric reagents do not need assessment. Another advantage is that they can be used repeatedly. A dehydrating solvent suitable for the sample is placed in a flask. Titrant is used to remove all moisture from the solvent. The sample is then added. Titration is carried out using a titrant, the titer (mgH2O/mL) of which has previously been determined. 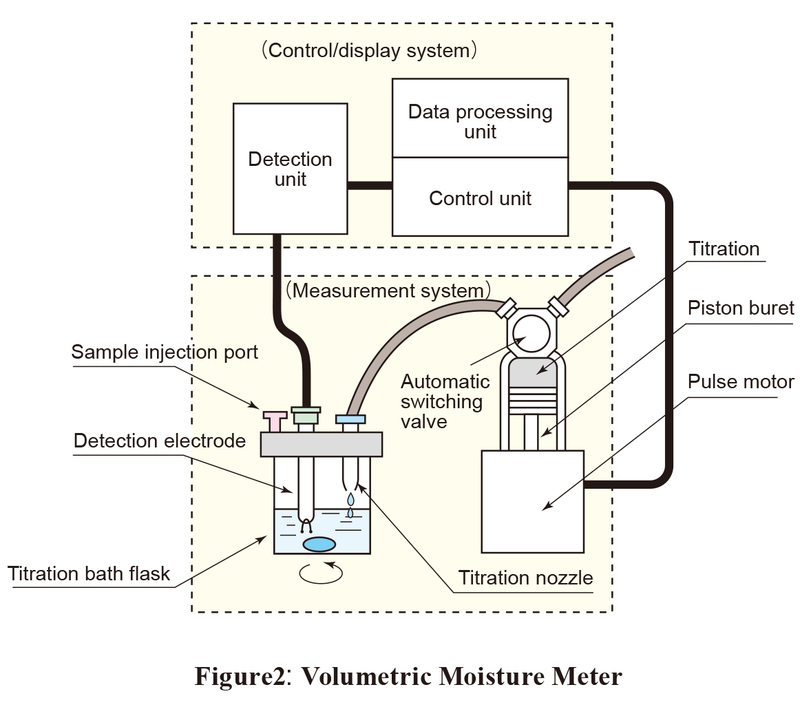 The moisture content of the sample is determined from the titration volume (mL). The end point is detected using the constant-current polarization voltage method. 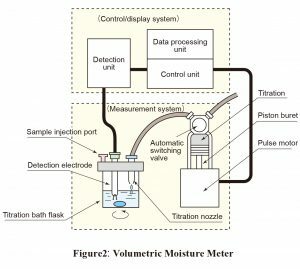 Figure 2 shows the components of typical commercially available automatic volumetric titration system.